Photo by Pam Ledford, digitally enhanced by Jock Dempsey. No, this is not a "Photoshopped" image. The REED 108 is one of the largest vises made and this is a real photograph! The only significant thing done to it digitally was to remove background debris and improve contrast. Note the aluminium soft jaws with V-groove. I was commenting on not liking a swivel base on a big vise because I could not keep my Columbian holding still with the clamp. 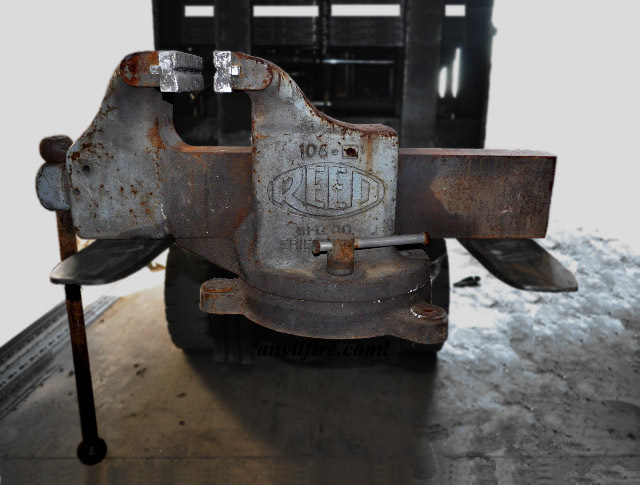 Grant Sarver replied that his Reed Hydraulic Vise had teeth that locked the base securely. 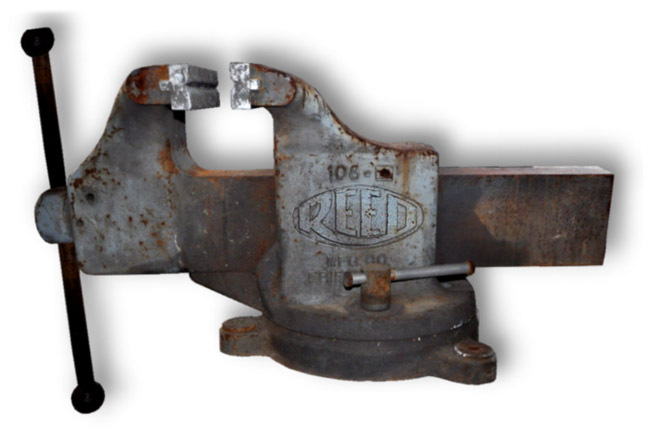 Collector Tom Davis bought this vise and I'm sure will see it again with shiny new paint and no rust!